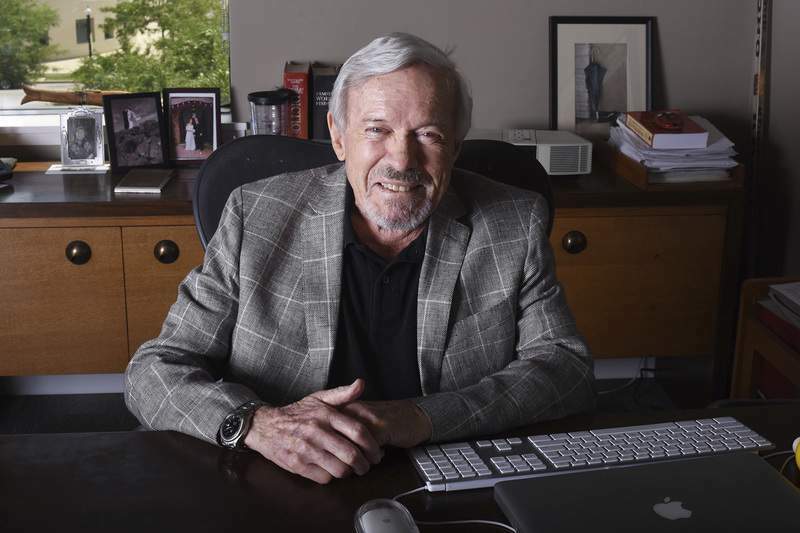 Rachel Von | The Journal Gazette Rich Ferguson founded his own advertising agency in 1975. Today the agency employs more than 40 people, and Ferguson says he has no plans to retire. Rachel Von | The Journal Gazette A display in the office of Rich Ferguson, founder of Ferguson Advertising, on West Berry St. in Fort Wayne on Monday July 9, 2018. Rachel Von | The Journal Gazette Portrait of Rich Ferguson, founder of Ferguson Advertising, at the office on West Berry St. in Fort Wayne on Monday July 9, 2018. Rich Ferguson is the rare octogenarian who has maintained a lifelong friendship with his favorite college professor. You read that right. 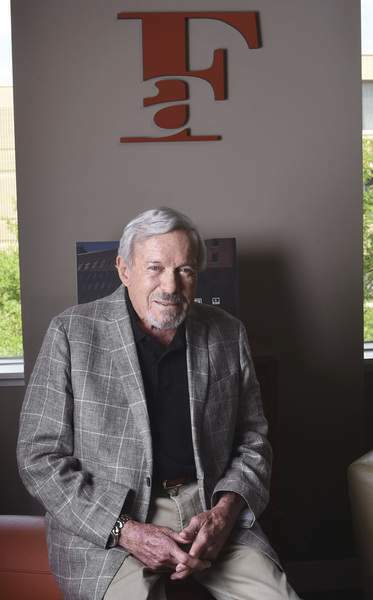 The 82-year-old local advertising veteran stays in frequent contact with Myra Janco Daniels, former Indiana University professor and one-time owner of a Chicago advertising agency. She's 93. That ambition has been felt locally. The advertising agency Ferguson founded has played a significant behind-the-scenes role in the community and its development. The most recent example is its work for the proposed Electric Works project. But Ferguson's accomplishments aren't the first thing that comes to mind when those who know him best describe the man. Fair, ethical, honest – those are the words they use. At a time when many people lament the lack of civility in our country, Ferguson has been viewed as someone who succeeded with his principles intact in what can sometimes be a ruthless business. 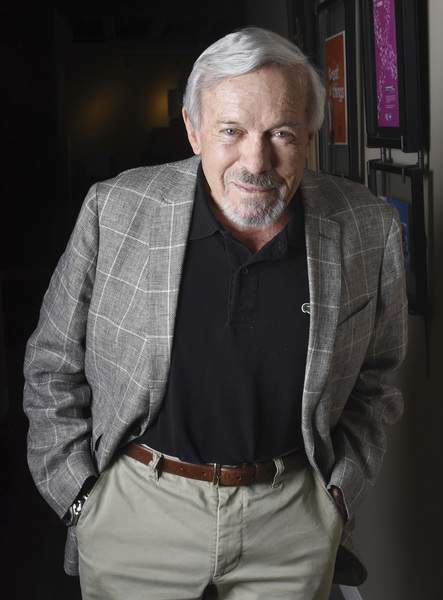 Ferguson learned his trade first on campus in Bloomington, then New York City before eventually settling down in Fort Wayne and founding Ferguson Advertising in 1975. He spent most of his first five years living in Florida with his father, a basketball coach, his mother, a school teacher, and his sister, who was seven years older. “I was just a little pest to her, I think,” he said. Ferguson's father, who developed a heart condition after a boyhood bout of rheumatic fever, died when the son was just 5 years old. His widow took their two children north to Lima, Ohio, to teach and live near extended family. After a year in Ohio and two years in Columbia City, the family settled in Huntington. That's where Ferguson developed his work ethic. “I always had a job of some kind: delivering newspapers, setting pins in a bowling alley, sweeping floors in a jewelry store ... even digging ditches,” he said. Those early jobs shaped the future for Ferguson, who stood only 5 feet tall and weighed 100 pounds as a high school freshman. “I never wanted to dig ditches for the rest of my life or work on the railroad,” he recalled during a sit-down interview in his downtown office, where he still reports to work five days a week. Ferguson doesn't know why, but he always had an interest in advertising, which was taught under the marketing umbrella at IU. He took all the advertising classes he could from Janco Daniels because it was his favorite subject. Ferguson's passion concerned his mother. Janco Daniels wasn't content to leave learning to the lecture hall. She wanted students to get real-world experience, so she secured a Ford Foundation grant that paid 10 students a stipend to buy a couple of suits and travel the country – New York City to San Francisco – during the summer break selling advertising. Ferguson reveled in the experience. He left IU with a degree, letters of reference from Janco Danielson and $60 to $70 in his wallet. To put that in perspective, monthly rent for his first New York City apartment was $70. He hitched a ride to the East Coast with the family of a friend, whose twin sister was graduating from Bennington College. They dropped him off in New Jersey, and he took a bus into Manhattan to embark on his career. Ferguson landed at the Wall Street Journal, where he called on banks and brokerage firms in an effort to persuade them to buy advertising in the newspaper. After a few years and a stint working from the newspaper's Cleveland office, Ferguson realized that wasn't the aspect of advertising he was drawn to. Work took Ferguson to Indianapolis and back to New York, where his one-hour commute from Connecticut kept him from spending much time with his wife and three young children. So he packed up the family after accepting an offer from the local Bonsib advertising agency, which became Bonsib, Centlivre, Ferguson. Ferguson launched his own agency in 1975. Janco Daniels described it as the harder path to follow because Ferguson was successful working for others at large agencies. “He wanted to be so engaged in a company that he could know everything,” she said. Among Ferguson Advertising's early clients were Eckrich Meats, Central Soya, Lincoln Re, Tokheim, Huntington Labs and Essex. Many of those first accounts have gone out of business, been sold or moved out of town. But new accounts have always come along to take the place of those that were lost. “It didn't slow us down,” he said. Ferguson started with just one employee, a secretary. A year later, she left and Wright came on board. 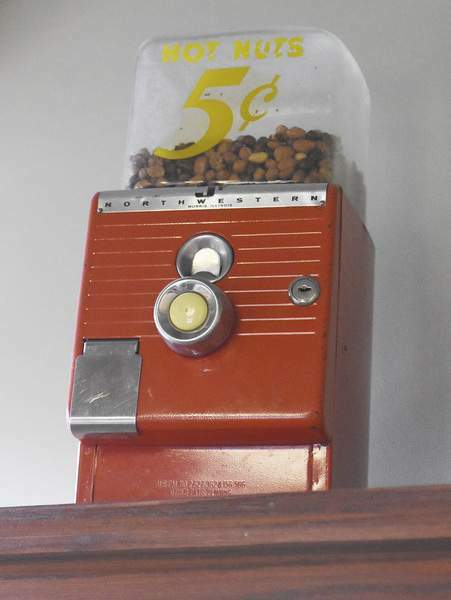 Wright, a graphic designer, also answered phones, pasted up ads and made coffee. Their office was in the Fort Wayne National Bank building. The space was so narrow that Wright had to work on a drawing board that could collapse against the wall anytime they needed to open the filing cabinet. Today, the agency has more than 40 employees, the most in its history. And it has never cut staff, even during the Great Recession. “He always did things the right way,” John Ferguson said about his father. Clients in more recent years have included Zimmer Biomet Holdings, Do it Best, STAR Bank, Freightliner and Weigand Construction. Rich Ferguson deals personally with just a couple of accounts but declined to identify them. The firm also represents RTM Ventures, developers of the proposed Electric Works project. The joint venture was created by Cross Street Partners of Baltimore, Greenstreet Ltd. of Indianapolis and Biggs Development of Decatur. Ferguson Advertising has created materials and organized events to help the developers rally community support for Phase One, which is estimated to cost $221 million. The project, which has been described as potentially transformational, is in limbo as elected officials debate how much public money should be committed. Ferguson isn't personally involved with the effort, which is headed by Kevin Erb and Ferguson's son, John. But the elder advertising statesman sees some politics at play behind some local officials' reluctance to support redevelopment of the former General Electric campus. It's fair to say that more years are behind Ferguson than ahead of him. But some things never change. Ferguson, a married father of three and grandfather of six, hasn't been all about work, however. 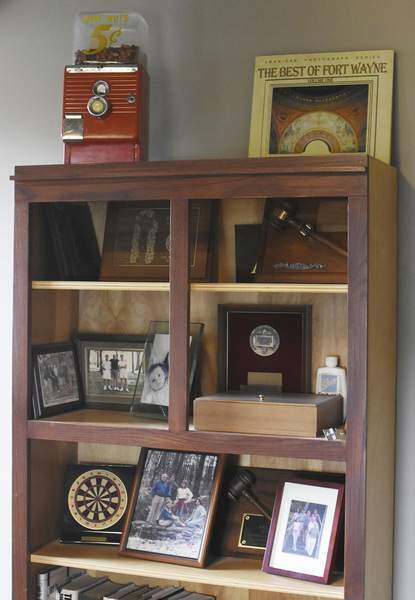 Morrie Sanderson, a local insurance broker, has been part of Ferguson's circle for about 40 years. They are among a group of eight guys who met every Wednesday night to play tennis at Wildwood Racket Club, followed by cocktails and conversation. Scotch is Ferguson's drink. Their doubles tennis games evolved to include snow skiing trips out West and golfing getaways down South. This summer, they headed north to play golf in Michigan. This was the first year that Ferguson, who walks with a cane and has arthritis, didn't really play – except to drop his ball about 100 yards from the green and hit it from there. The old friends have learned to tolerate and laugh about each other's idiosyncrasies. “He's not an early riser to begin with, so first you wait for him to wake up. And then you have to wait for him to do his exercises,” Sanderson said about the 30-minute morning exercise routine designed by Ferguson's physical therapist. Sanderson, 79, acknowledged that Ferguson can drive folks crazy with old stories about people they've never met. And it's suicide to match wits with Ferguson over a board game. One last thing. Ferguson's joke-telling could use some work. Sanderson admitted that he admires his friend, whom he described as a genuinely nice person.